How Soy Wax Is Made — 1502 Candle Co. Discover out anything from candle-making to selecting the perfect essential oil fragrance, we have you covered all things candles. Soy wax candles are becoming more and more popular. You probably already know that soy offers several benefits compared to traditional materials like paraffin, which is why 1502 Candle Co. exclusively offers this type of candle. But have you ever stopped to wonder where soy wax comes from? Or how whole soybeans are processed into wax in the first place? Michael Richards, a candle maker, discovered soy wax in 1991. Michael was looking for an inexpensive alternative to beeswax. As he experimented with different types of vegetable products, he eventually discovered a relatively cheap way to create wax from soybean oil. His invention paved the way for a new kind of candle, which burned cleaner than paraffin and was less costly to produce than many alternatives. Next, the oil is extracted from these flakes using solvents or mechanical pressing and hydrogenated. During the hydrogenation process, fatty acids in the oil become saturated, which alters the melting point of the oil and makes it solid at room temperature. Soy wax is available in flakes or pellets. How Is the Wax Made into Candles? Candle makers melt soy wax flakes or pellets in boilers. During the melting process, they may add coloring, fragrance or essential oils to dye or add a pleasant scent to the candle. Wicks are typically prepared before the candle maker pours the melted wax into a jar to ensure the soy wax solidifies around the wick. After the candle is prepared, it is cooled at room temperature overnight. At 1502 Candle Co., we are passionate about creating products that naturally complement sustainable living. We think it's important to know where your purchases are sourced from and are happy to share more about our unique approach to candle-making. Pouring liquid soy wax into our apothecary jars for candles. Although the process is simple enough for anyone to learn, it requires a great deal of care and attention to make sure the fragrance and essential oils don’t evaporate, the coloring doesn’t clump, and the wax doesn’t separate from its container. At 1502 Candle Co., we are passionate about creating products that naturally complement sustainable living. Soy wax is plant-based, which means it directly supports farmers. American farmers especially are investing in soybeans as the wax grows in popularity. 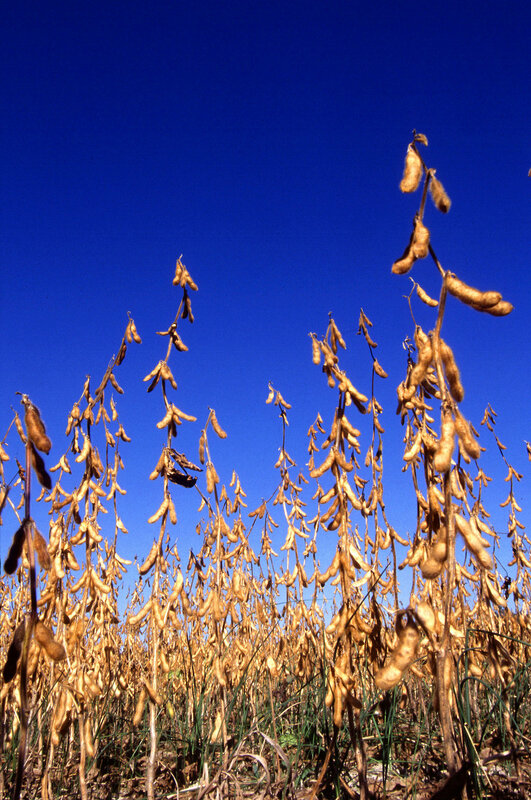 Additionally, a byproduct of the oil production process, soy solids, is often used as cattle feed. We think it's important to know where your purchases are sourced from and are happy to share more about our unique approach to candle-making. To learn more about our candles, diffusers, and other products, browse our shop or reach out to us online.